The Lenox Library has started a seed library. 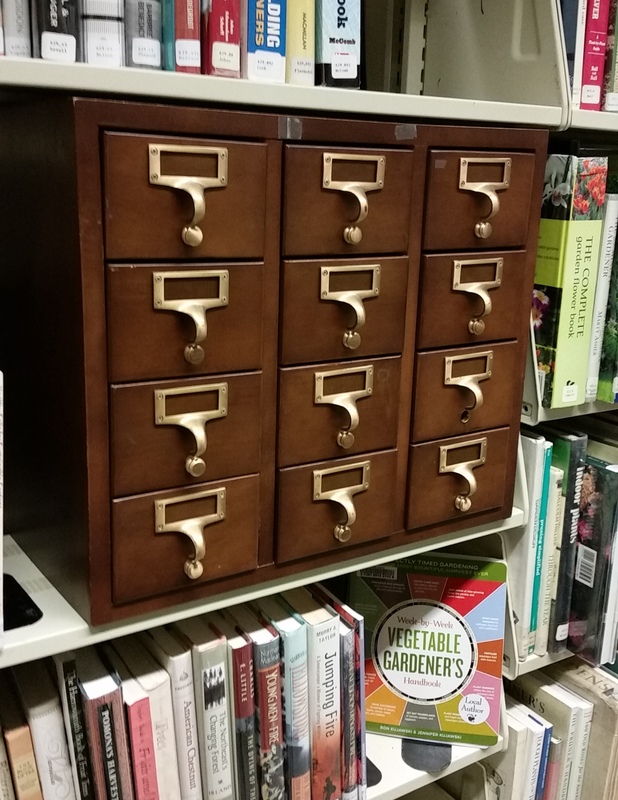 We’ve re-purposed a 12 drawer card catalog for holding packets of seeds and placed it amidst the library’s plentiful collection of gardening books. Where are the library’s gardening books? you might ask. They are in the Nonfiction stacks, Dewey Decimal range 635. Our Nonfiction stacks are located in the Basement. We are seeking donors with surplus seeds to help stock our library for sharing with other gardeners. 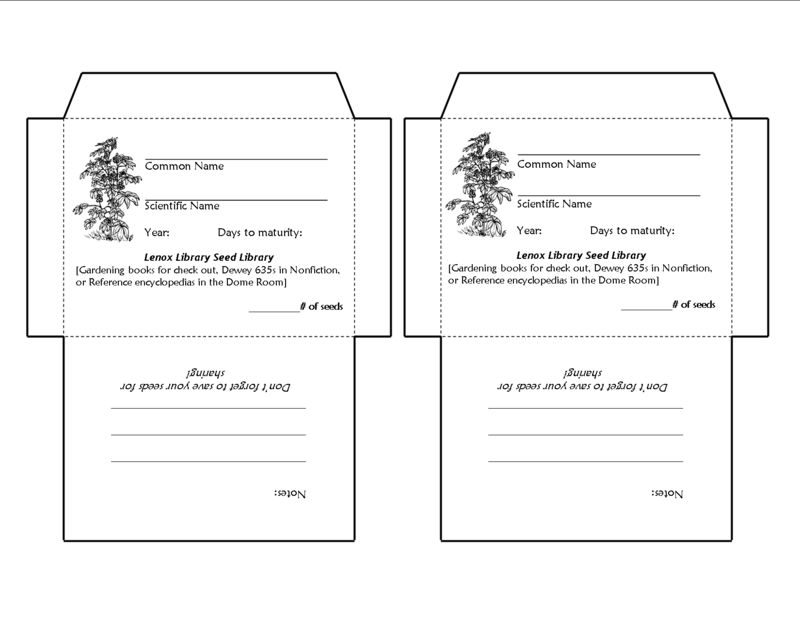 We’ve created a seed packet template for you to make seed packets to add to the library.